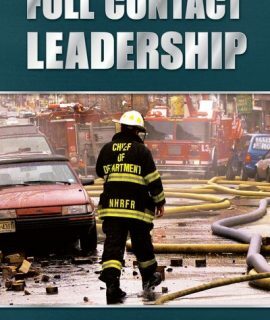 Fire service leadership is a journey and you need to start here. 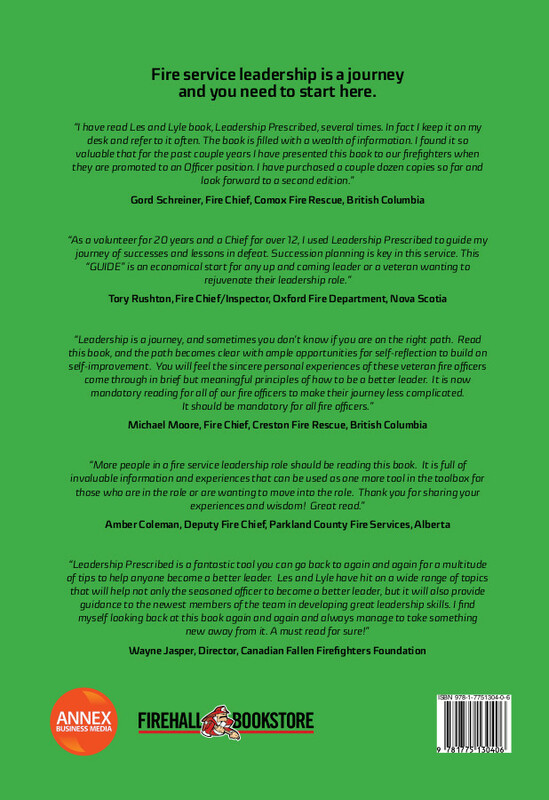 Leadership Prescribed 2.0 – A Handbook for Fire Service Leaders, written by Chief Les Karpluk and former Chief Lyle Quan, provides existing leaders and those aspiring to be leaders the tools to become more effective. 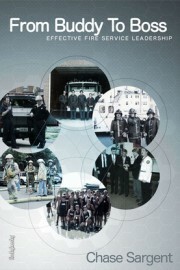 This updated 2.0 edition, released in 2018, includes four new sections and updates to the original, first published in 2013. When you talk to successful leaders it doesn’t take long to notice that these individuals are continually learning. They make an investment in themselves so they can become more effective as leaders and make a positive impact in their organization. These individuals understand that leadership growth comes from reflection and authentic self-analysis, and because of this, they analyze their experiences, good or bad, in an effort to drill down and examine their own performance. 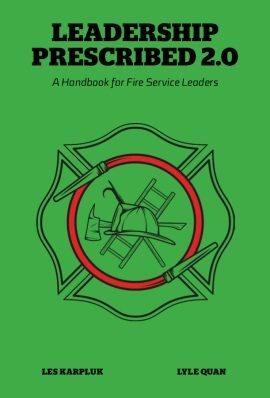 These nineteen sections will help you whether you are a career, paid on-call, or volunteer firefighter or officer. Leadership – Where Art Thou? Les Karpluk began his career with the Prince Albert Fire Department in 1982 and retired as Fire Chief in February 2014. His career with the City of Prince Albert, SK spanned 31 year and 11 months. Les was recognized by the Canadian Association of Fire Chiefs as the 2009 Career Chief of the Year. Les holds a Bachelor of Applied Business in Emergency Services, certificates in Fire Service Leadership and Fire Service Administration, as well as Fire Officer IV designation. 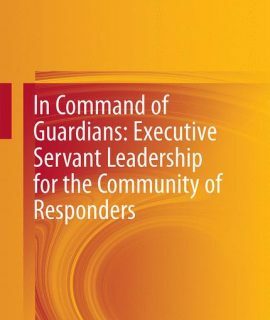 Les is an instructor for Lakeland College, Dalhousie University, and the Justice Institute of British Columbia, where he facilitates courses on leadership, administration, labour relations, and performance management. Les has written many articles and blogs for Fire Fighting in Canada, Firehouse, and Firefighter Toolbox. 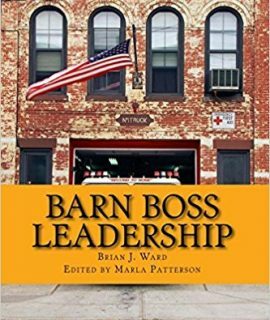 He conducts leadership seminars across Canada and the US, and writes strategic plans for volunteer fire departments. Lyle Quan has been in emergency services over 30 years. During his career he has worked in Policing, EMS, and Fire. Lyle retired as the Fire Chief of Waterloo Fire Rescue for the City of Waterloo, Ontario in June 2014. Lyle holds a bachelor of business in emergency services, a bachelor of adult education, and a master’s certificate in municipal management. 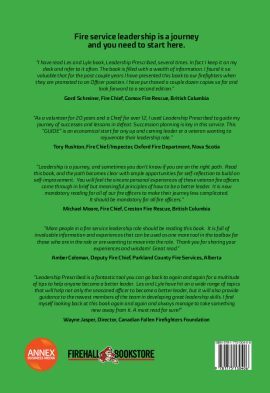 Lyle is an instructor for two Canadian Universities where he facilitates courses in fire service leadership and administration, risk management, strategic planning, and team development. He is also an associate instructor with the Ontario Fire College for Legislation and the Fire Officer programs. Lyle has written many articles on leadership, teamwork, and strategic thinking and takes every opportunity to speak to organizations on how to embrace and incorporate these topics into their personal and work environment. 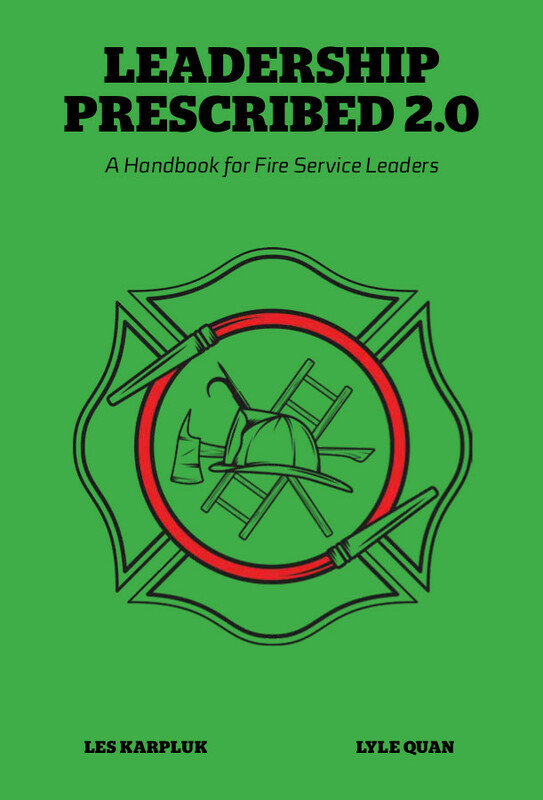 Contact the Firehall Bookstore (info@firehallbookstore.com) for bulk orders and rates.